Vijay Patel, 49, was attacked in Mill Hill area of the city on Saturday night and rushed to hospital, where he died of head injuries on Monday. 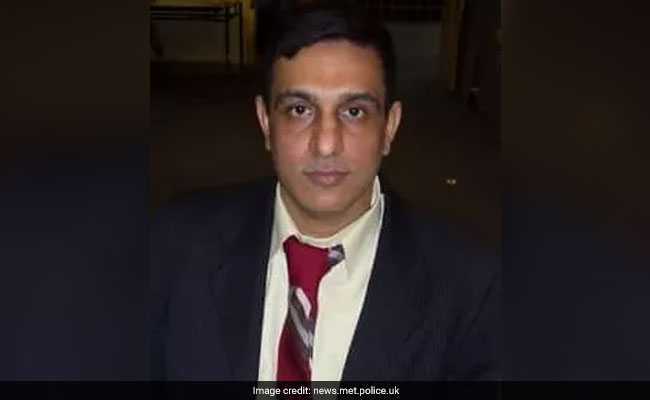 An Indian-origin shopkeeper was killed after he was punched for refusing to serve cigarette paper to under-age UK teenagers at his shop in north London. Mr Patel's death bed photograph, hooked up to a life-support machine, has been released by his family as part of an appeal to hunt for suspects involved in the attack. A 16-year-old boy appeared in court today and was charged with murdering Mr Patel, the father of two. "The Homicide and Major Crime Command continue to investigate and appeal for information about the events leading up to the incident which resulted in Patel's death. It is believed that three persons were involved in the incident," Scotland Yard said in a statement. Detective Inspector Ian Lott, from the Metropolitan Police Homicide and Major Crime Command, described the attack as an "unprovoked spontaneous incident sparked entirely by refusal to let the suspects buy what they wanted". "A man has lost his life for no reason other than trying to uphold the law," he said. Mr Patel was struck in the chest and fell backwards, hitting his head as he landed. He was found lying injured on the pavement outside his local convenience store named Rota Express by London Ambulance Service, who rushed him to St. Mary's Hospital in London. Mr Patel had moved to London with his family from India in 2006 and his wife, Vibha, was visiting relatives in India at the time of the fatal attack. "We are shocked and heartbroken. He was such a kind person. We are all very close because his children are out of the country studying," said the victim's brother, Prakash. The shopkeeper's friends described him as "honest" and "hard-working". An online fundraising page set up for his family and has so far raised more than 15,000 pounds. Just before the attack, a shop worker had asked a group youths for identification to prove they were over 18 years age the legal age limit for purchase of tobacco and alcohol in the UK. When they could not provide it, the group became "became aggressive, threatening to vandalise the shop", the Met Police said. Mr Patel, who lived in Colindale area of north London, came to the aid of his colleague and was punched to the floor outside before the teenagers fled. The shop worker was also punched and suffered minor injuries. "Vijay was the best human being you could have seen in the world. He was my right arm," said Abdullah Rahimzai, the owner of the shop who was also hurt during the attack. "He fell unexpectedly with his head on the ground," he recalled. The Met Police are appealing for witnesses to track down the remaining suspects in the case.